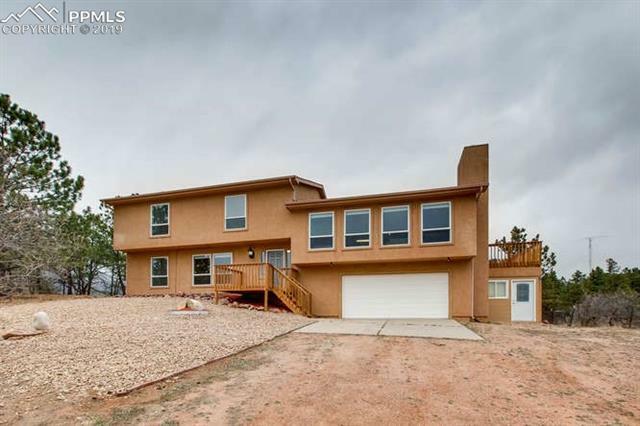 Five stunning acres pressed up against the foothills of Monument, complete with a barn and a lovely home with an exceedingly functional layout. Huge open kitchen and living room with a wall of windows and a slider to a deck where you can soak in the view of grounds and the surroundings or watch your horses frolic. Up a half flight, you have four large bedrooms together on the same floor. Down a half flight to the entry floor, there's another living space, laundry and a full mother-in-law suite with its own deck.